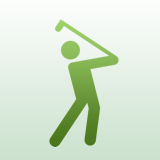 Coming soon will be a completely revamped, much more feature rich Golf Houston with better functionality. The members that have already signed up will be taken into consideration on the transfer process and will be awarded for being the members that helped start us in the right direction. More updates coming soon. Thanks for supporting your local Houston, Texas Golf Online Resource!